Contributions made for the Park Foundation’s Golf Program & Events Fund help introduce the game to new people at Fairfax County Park Authority's seven golf facilities. 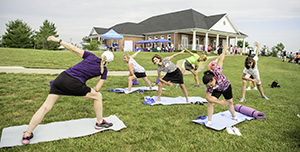 These fun and educational events promote varied fitness options, health and social benefits while new and improving golfers learn a lifelong skill! 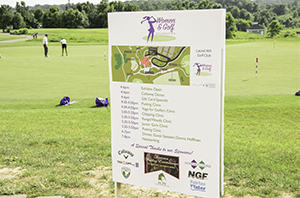 Save the date for the 2nd Annual Women & Golf celebration to take place at Twin Lakes Golf Course on Thursday, June 13, 2019 which serves as Golf Fairfax’s commemoration of Women’s Golf Day, an international event celebrating girls and women playing golf and learning skills. 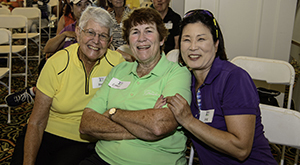 More than 175 attendees joined the fun at the inaugural Women & Golf Celebration at Laurel Hill Golf Club in 2018. See the video! Participants enjoyed complimentary food and beverages and received Cool Prizes and SWAG bags. 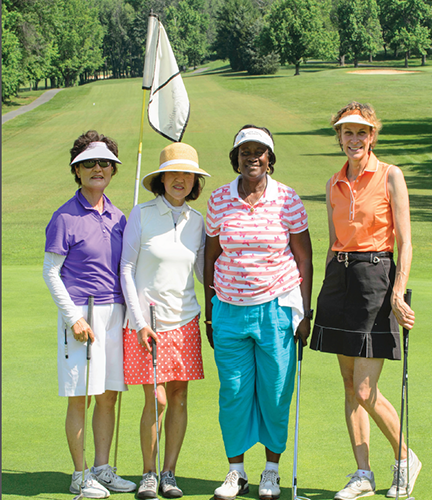 In addition to networking with FCPA’s golf experts from seven courses who highlighted offerings to women and girl golfers throughout Northern Virginia, special Guest Speaker, Donna Hoffman, President of Women on Course offered an inspirational message! The 36-hole Twin Lakes Golf Course boasts two championship courses, the Oaks’ par 71 and 6,715 yards challenge all golfers and Lakes course featuring a par 72 and 6,695 yard experience that requires more distance off the tee but is more forgiving than the Oaks course. Tee up to sponsor Women and Golf 2019! Thank you, 2018 & 2019 Sponsors!